Back from the convention. It was crazy fun and did very well, but I’m exhausted so I’ll fill in all the deets next post and on the Bohemian Nights facebook page as well. 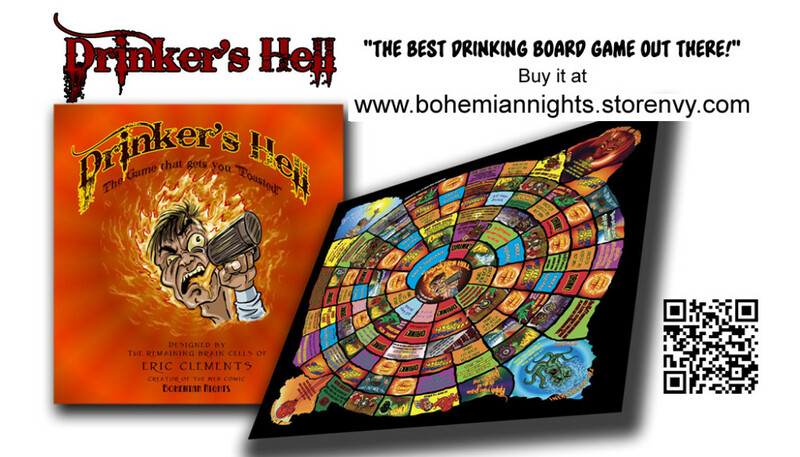 For those of you who were interested in the Drinker’s Hell game but just couldn’t buy it on that last day, fear not. It can still be found here at the Bohemian Nights store….but supplies are low.